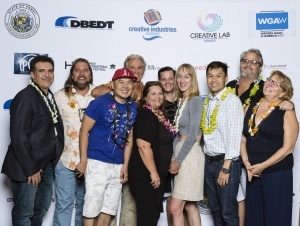 During the 2015-2016 calendar year, the Creative Lab Hawaii Program (CLH Program) successfully executed and concluded the following 6 Program Tracks: Fashion, Screenwriting, Producing, Web-Series Development, Mobile Game App Development, and Music. In total, there were 45 creative entrepreneurs that were enrolled in the CLH Program’s 5-Day Immersive hands on training component in the 6 Program Tracks. Participants hailed from Hawaii, the US Mainland, as well as foreign countries such as the Netherlands. 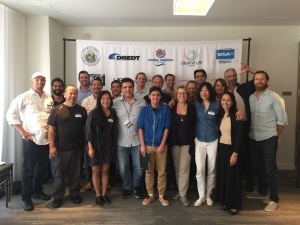 This year also marked the kick-off of 2 inaugural Ideation workshops in the areas of Screenwriting/Producing and Animation Storytelling. Participating in these sessions were more than 40 individuals with a commitment to moving their ideas forward from idea to project or hobby to career. Many of those participating in the Ideation Program are projected to be future applicants for the Creative Lab Hawaii Immersive programs. 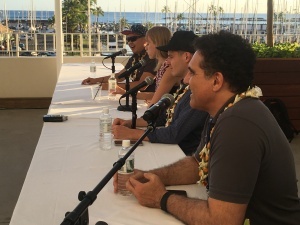 CLH Hawaii also hosted 2 Public Program Keynote Sessions and 3 panel discussions featuring mentors from the CLH Immersive Programs in partnership with the Hawaii International Film Festival, which attracted approximately 250 attendees. The mission of the CLH Program is to support the development of creative professionals and entrepreneurs, to develop an ecosystem to increase exports and attract investment and build the state’s creative entrepreneurial capacity. The CLH Program would like to extend its appreciation to Governor David Y. Ige, the Hawaii State Legislature, and the U.S. Department of Commerce’s Economic Development Administration for their funding and support. 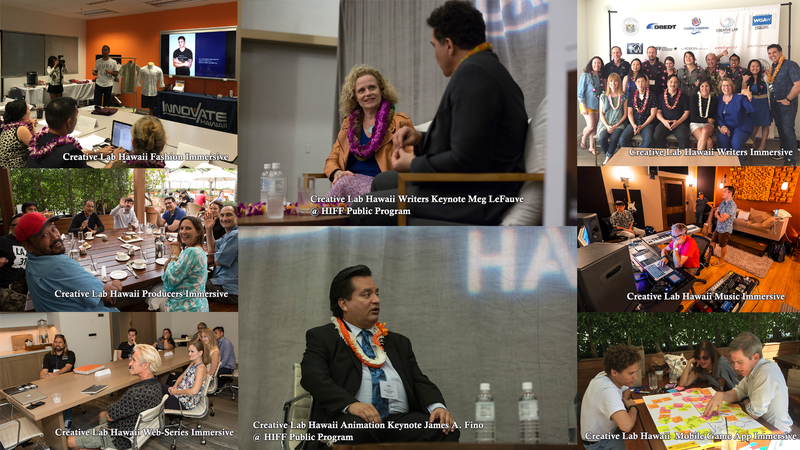 Special thanks go out to CLH Program’s strategic partners: The Producers Guild of America, Writers Guild of America, West, Hawaii International Film Festival, Global Virtual Studio, the Hawai’i Academy of Recording Arts, The Modern Honolulu, Speedi Shuttle, Arthur’s Limousine, The Hawaii Songwriters Festival, Secret Road, and The Cut Collective.